Once in a while, something or someone comes along to surprise you. I normally steer away from very young acts. I just think that they are not really ready to make that big step. There are some exceptions. Sonny French is one, but his parents are Stuie and Camille, so you kind of think that something must have rubbed off. The other one is this young fella. Now Rory and I have a few things in common. He’s from Tumut…..my ancestors are from Tumut (via Ireland and England and wherever else us Johnsons and Murrays came from). The other thing is that I had a guitar at 10 years old. He plays a guitar at 10 years old. Sorry, that is an understatement. He drives a guitar at 10 years old. Man oh man, has he got the Blues down. I’ve heard Rory being interviewed a few times and he is 10 going on 40. I know that Beth Brown wants to adopt him…..well it seems that way! I think that if I had kids Rory or Phoebe Jay would be pretty close to similar souls that I would have. They are so passionate about music and they are jumping out of their skins to play it. Rory definitely has a feeling for the blues. His charm and his gift of entertaining is very strong. His raw vocals will improve with age and experience. He certainly has some great members in his cheer squad to guide him through. Roger Corbett doesn’t just take anybody on. He co-writes a couple on here with Rory and helps him out with musicianship. I think that the Felicity/Catherine song suits him to a T. It is a nice “age appropriate” song but more importantly, it provides a bit of a different shade. Instrumentally, Train Wreck Blues is his best fit, but then, I am a sucker for at train song. The main thing about Rory is his joy for what he does. The little old rainbow of happiness practically pops out of the stereo when I play his cd. 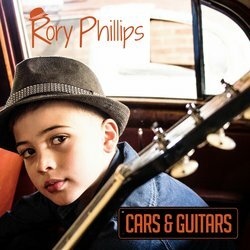 I have heard him tell of his love of both cars and guitars and that is obvious when he sings and plays the title track with such gusto. The little letter that came with the EEP (I reckon that when they go past 4, they are Extended, Extended Plays), says that: “I want to make people happy. I also want the EP to bring more gig opportunities my way.” That line kind of sums Rory up. He definitely makes people happy. The last bit sums up his ambition and his cheeky way of putting his message across. The young man who picked up a guitar at five, went on to be the youngest to graduate from CMAA Junior Academy of Country Music in Tamworth. You have to keep reminding yourself how young he is and how much he has achieved already. As he gets older and learns all the tricks of the trade, he will be one to watch. Some of our very best started young and they are still going strong. At 10, Rory is the youngest to reviewed on this blog. One day he may be amongst the oldest like Willie Nelson and Loretta Lynn. Reach for the stars, Rory…..and keep making us happy. 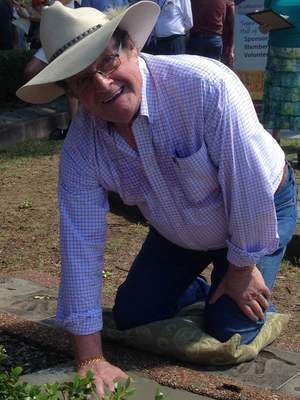 Allan Caswell is a national treasure in Australia, particularly in country music circles. Michael Carpenter has the potential to be a national treasure. Split by a decade or so in birth years, Allan and Michael are kindred spirits. I have seen that chemistry with them in a room, on a stage and even on posts on Facebook. They don’t always agree on everything but there is that connection and that bond between brothers that usually takes a lifetime to develop. Musically, they are on the same page and there is a mutual admiration between them. The fact that Sir Allan is doing a whole album with another artist must be a first and definitely an honour for Michael. Allan has co-written with and mentored most country music artists in Australia and some in New Zealand. He has introduced us to many fine talents. However, he to my knowledge, this is the first entire album that he has done with another artist. Michael Carpenter is no slouch. He is in the top 5 Country Music producers in Australia. There are not many artists (especially in NSW), who haven’t worked with Michael in some capacity. He has worked as a guitarist with many bands, including two of his own, Michael Carpenter and the Cuban Heels and The April Family. He has produced some of our finest albums. These two men are very passionate about their music and producing a quality product. They are two of the most generous and unselfish artists in this country. They have both been very good to me. I have known Allan a long while now and I have only known Michael for just over 12 months. What I do know about these two, is that separately, they are champions and brilliant at their music. Together, quite frankly, they are magic. Back When I was Older – One of the singles released from the album and it has the sound of a single. It has that Travelling Wilburys’ feel. Some great lyrics and a real toe tapper. Til You Come Around – This song has a similar feel to the first track. My only criticism is that I would have probably put the third track here and switched things up a bit. Some good lines. That Ain’t What It Is – One of my favourite tracks on the album, a beautiful ballad with a great feeling of melancholy. Life Like It’s A Trainwreck – A budding dj’s tongue twisting title nightmare but a great song. Rollicking and in your face – I almost thought that Elvis and Johnny were in the building. You’ll wear out your shoes on this one. Bourbon Every Time – I have played this song five times already and it has made me cry into my black coffee every time. Pure genius. High Hopes (with Kylie Whitney) – If the last one made you cry, this one will make you soar. One of the feel good songs of the year. It is my pre-interview warm up song and it always makes me feel “up”. Watch the video (on this blog), you will spot some very familiar faces. Want That Back Again (with Felicity Urquhart) – A very sweet combo. When I listened to it the first time, I thought, that voice is very familiar. I think that is Fliss. I checked on Google and sure enough, it is. This song has a touch of the cheekiness about it. I was almost blushing listening to it. Nice change of pace too. Too Young Too Cute Too Pretty – Nothing like a bit of bluegrass in the afternoon. It will get everything tapping. Obviously this young lady was not at the gig where Allan and Drew wrote The Billy Joel Song! A good fun song. 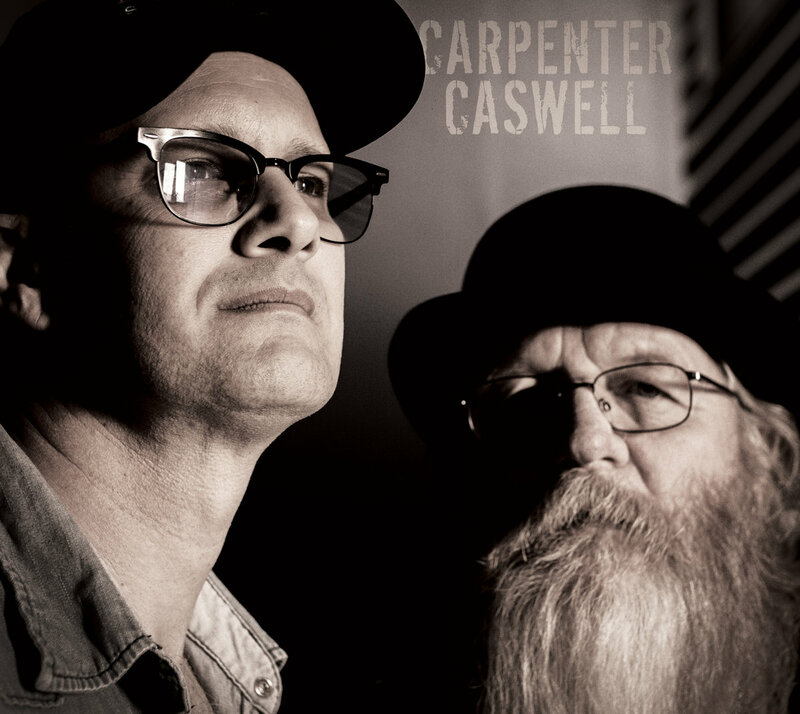 After It’s Gone – A bluesy, guitar twanging, easy over brandy song. My kinda song. The Boys In Black (with Kylie Whitney) – a tribute to the boys (and girls) who set up and pack up. These guys know better than anybody else in the music business how amazing they are. Most of us genuine fans know how important they are. Long time co-writer pal of Allan’s, Manfred Vijars co-writes this one with Allan and Michael. The Big Daddy: A surprise addition….a little instrumental. It sounds like a jam session that we’d all like to be invited to. I will bring my triangle and air guitar, fellas. Wherever you are (with Kylie Whitney) Some of the best lyrics on this one. Love it to bits. “two weeks in Texas and thinks he’s a cowboy, two months in Hollywood and thinks he’s a star, spent 6 months in Nashville and thought he was country…..”. Yup. This is a gem. Buy it, play it, treasure it. Play it for friends with a bottle of something good and enjoy. It is hard to believe Gary’s age when you listen to his faultless vocals. There is not a quiver or a waver anywhere, he doesn’t falter. This album is definitely one to mellow out to. If you don’t know the significance of the Hands of Fame, then you have never been to Tamworth. 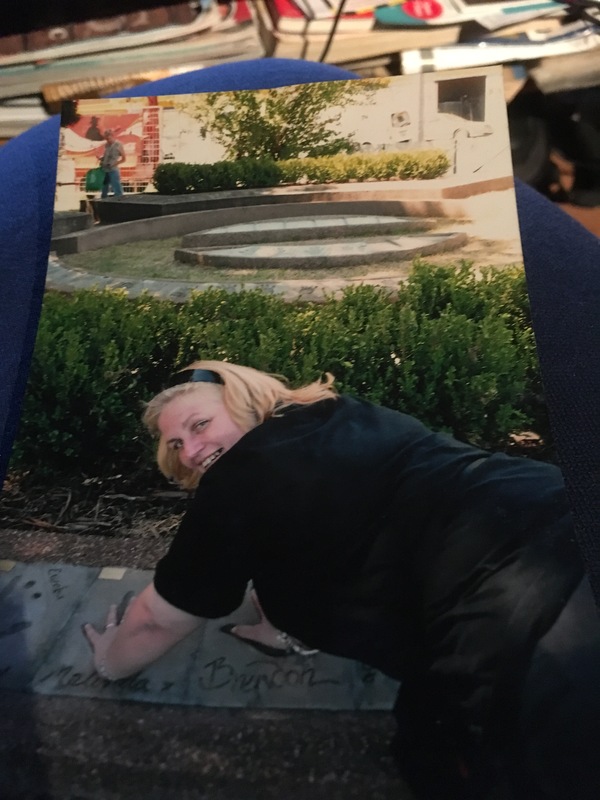 There is a section near the bridge and West Diggers in Kable Avenue, Tamworth, that has the imprints of many stars of Country Music. To get your hands covered in cement, you have to be of a certain standard….a very high standard. I have put my hands on there, but only on top of Brendon Walmsley’s and Melinda Schneider’s, which happen to be next to each other! Gary was one of the hand sinkers this year. A lot of people said that it was way over due. Heck, 65 years in the biz is pretty good going. Gary has had some tough times, but he seems to have come through it all. 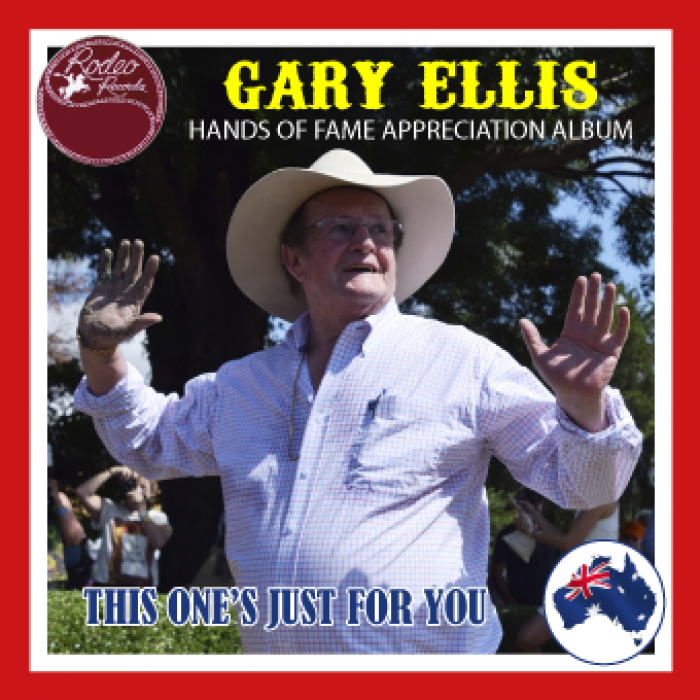 I have been able to meet some legends in Australian Country Music, I hope to meet Gary one day to add to the list. How amazing to sing this well at 80. It is great to see veterans like him and Rex Dallas, Reg Poole and all still singing so well and producing such quality material. Apparently, Gary can’t play guitar anymore, but the musicianship on this album is very good. It doesn’t override the vocals, it works hand in hand with them. A special mention to Bernie O’Brien for some great guitar work. One more for Slim (Dustin Vosper): I love the ‘walk a country mile’ riff at the beginning. Great song and a nice tribute. It Always Will Be (Willie Nelson/Kimmie Rhodes): What a lovely song. I thought that I knew every Willie Nelson song. There’s some replica Willie guitar licks and strums in this. The Running Kind (Merle Haggard): If you are going to put a cover on an album, it has to be a Merle cover. This One’s Just For You (Terry Morris): A tribute to Gary’s wife. A lovely hummable song. A Little Peace (Ralph Siegel) – a catchy tune, a happy, hopeful tune. The Little Tin Soldier (Cliff Richard) – An old Cliff Richard song. I listened to it before I read the credits. I thought that I had heard it before! Back to my childhood. A nice, gentle rendition. Ticket to Heaven (Mark Knopfler) – I thought that I was in Mexico! Again, I hadn’t heard of this song, though I have seen Mark in concert a few times and I have most of The Dire Straits Albums and Local Hero. Lovely song. Speed of the Sound of Loneliness (John Prine) – a classic song by one of my favourite songwriters. It is hard to go wrong with this classic. Some of the best lyrics ever written. Shoo Shoo Shelala (Unknown) I remember a Wilf Carter version that my Dad had, did he write it? This is a fun song, a happy, feel good song. It is a lullaby but it can just be enjoyed at any age and at any time of the day. I had a Nanna Nap to it on the first play. On the third play, I was singing along. A love that should have been (Jimmy Gleeson): This song has a nice 60’s twangy guitar feel to it (I am partial to that). It sounds very familiar. Maybe I am old enough to remember it but too young to be sure where I have heard it from. In the Chapel of the Lord (Norm Burke): I am not sure if this is an official hymn, I think that it is more of a gospel song, a nice gentle one….no fire and brimstone here. Just like Mona Lisa (B.G.Pollock) – Another great singalong song. It is also very 1960’s sounding. Toe tapping and shoulder shifting required. 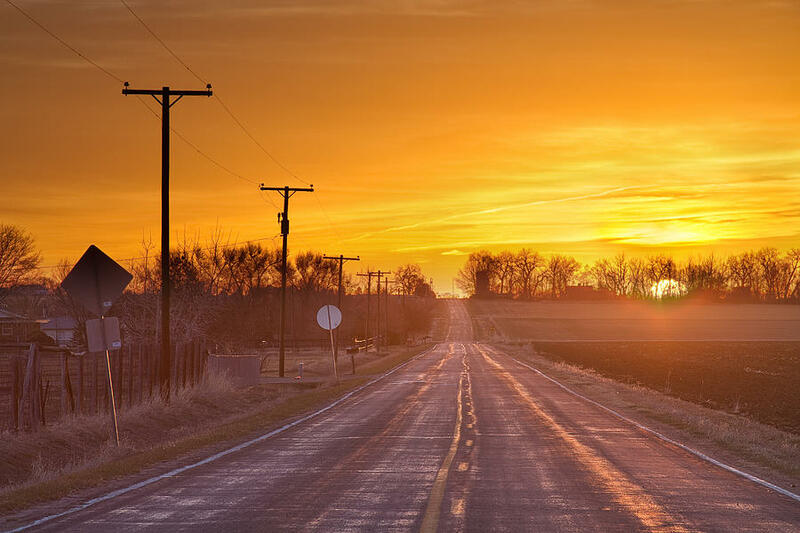 The Blue Side of Me (Gary Gough) – You can’t get much more country than this. It is a familiar story, we all know a bloke like this. Old Cowboys Never Say Goodbye (Ray Rose) – I had images of John Wayne as I listened to this song. This is song is so country that when I played it, a tumbleweed rolled through my lounge room. My father is going to love this song when I play it to him. A good way to end the album. The closest that Kaz is ever going to get to putting her hands in the Hands of Fame! We all knew that it was coming. Sadly, there is no way that we could fix the ending. 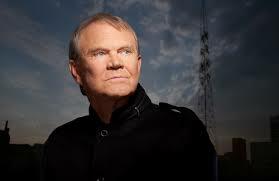 This awful disease that took Glen Campbell from us has effected my family and some friends too on a closer to home basis. It does not discriminate and there is no cure…..although they are working on one. 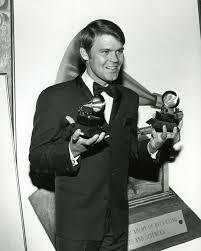 Glen Campbell had a big life. He did more than most, on and off the record. Sadly at the end of that life, he could not remember all of the wonderful things that he had done and he forgot how to sing and play. We won’t forget how he sang or how he played. The outpouring of grief on social media, on radio and television broadcasts and in print prove that he was a well loved man, both musically and as a human being. He had his faults. He had his battles. He was married four times and had eight children. 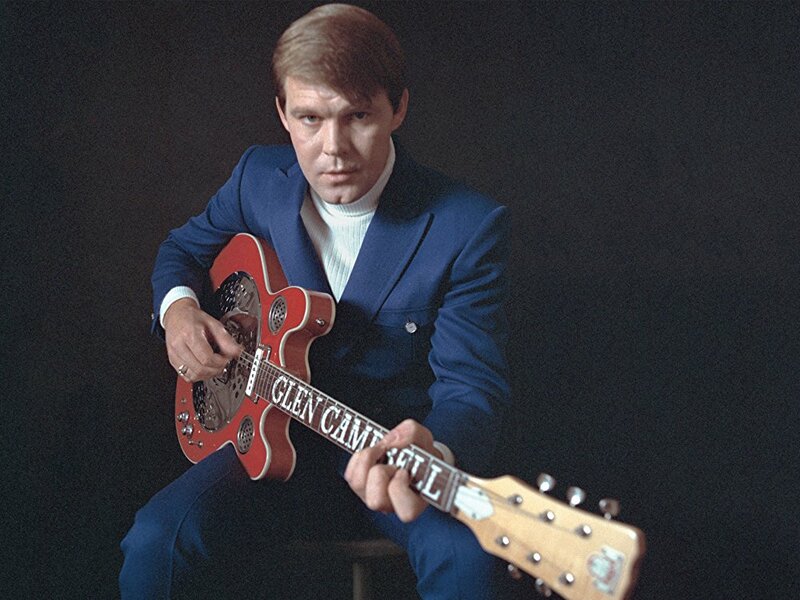 He was a Wichita Lineman, A Rhinestone Cowboy, A Beach Boy (he played guitar on what many consider to be the greatest album of all time, the groundbreaking Pet Sounds), A Country Boy, he went to Phoenix, Galveston and many other places in his songs. He was nominated for a Golden Globe for Most Promising Newcomer in True Grit. He provided the opening riff to The Last Train to Clarksville for the Monkees and played on other recordings by Bobby Darin, Ricky Nelson, Dean Martin, Nat King Cole, Nancy Sinatra, Merle Haggard, Jan and Dean, Frank Sinatra, Phil Spector and that Elvis Presley bloke to name a few. His collaborations with Jimmy Webb are probably his most famous. Rhinestone Cowboy was his biggest chart success, though. Many musicians are concentrating on his guitar playing genius, rather than his voice and his phrasing (which were exceptional). He was an in demand session musician and his solo career was full with a variety of tunes. I was listening to an interview this morning that Campbell did on an Australian visit. He said that he hated labels. He just called what he did “music”. He didn’t like to be described as a particular type. I grew up watching his specials on television. He was one of the first country musicians to do that on a regular basis. The only song that I can play in full on the piano (with one hand) is Try A Little Kindness. Its words spoke to me before the music and I wish that the world would listen to and practice the sentiment of the song. The world has lost a fine musician, a great singer and a music legend. However, his haunting music and golden voice will live on. Thank you Glen. N.B. I reviewed Glen’s last album recently on this blog. Have a read if you like.